#yyccc mtg adjourns. The four year budget debate is over. The province will set the education portion of property tax in the spring. Total tax bill must be finalized by end of April. #yyccc votes 9-5 on 4 yr budget. Voting no: Chahal, Chu, Colley-Urquhart, Demong, Farkas) Jones was absent. Farkas says this would still mean an increase so he cannot support it. Chu amends that first number to 3.15% for 2019. Sutherland says Farkas has found no savings here. He only wants to direct admin to find it. Where are his ideas asks Sutherland. Gondek says #yyccc has listened to Calgarians who want the services the City is providing in this budget. On #3 , #yyccc votes to approve it 12-2. 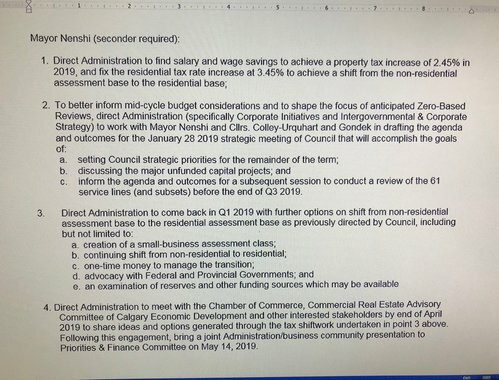 On #2 and #4 , #yyccc approves them unanimously. 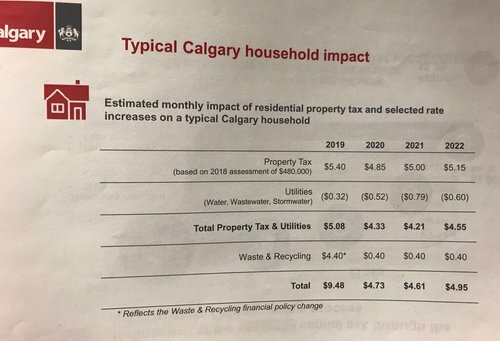 On #1 (tax shift): #yyccc votes 10-4 in favour. 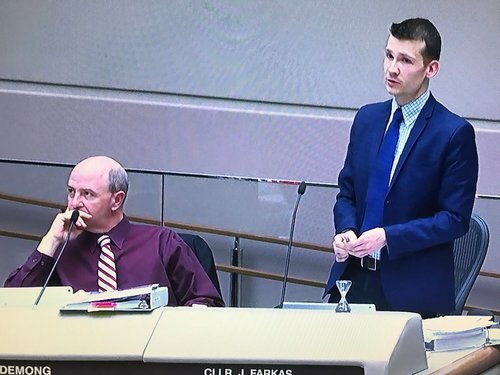 Woolley points out that the financial situation now is such that Calgary can't afford to lose a single fire truck. He says if you really want to cut spending, cut the police budget or the fire budget to find savings. Understatement by Nenshi: I know this is complicated.